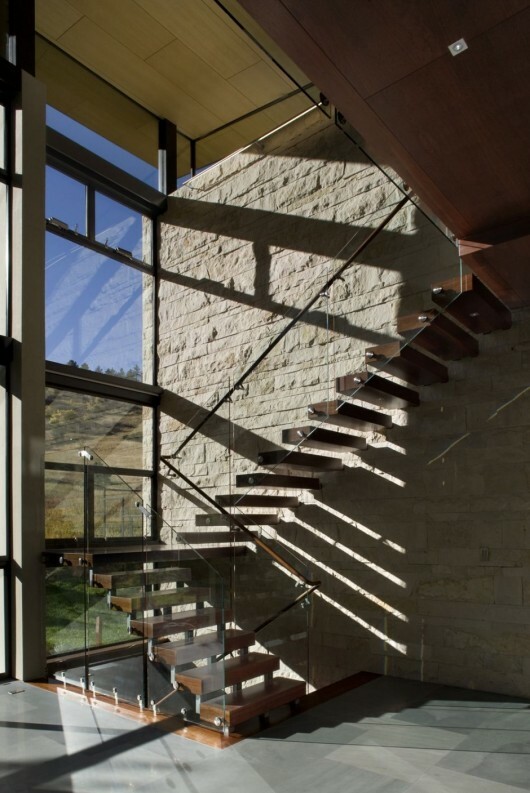 Colorado Syncline House | Shelby White - The blog of artist, visual designer and entrepreneur Shelby White. 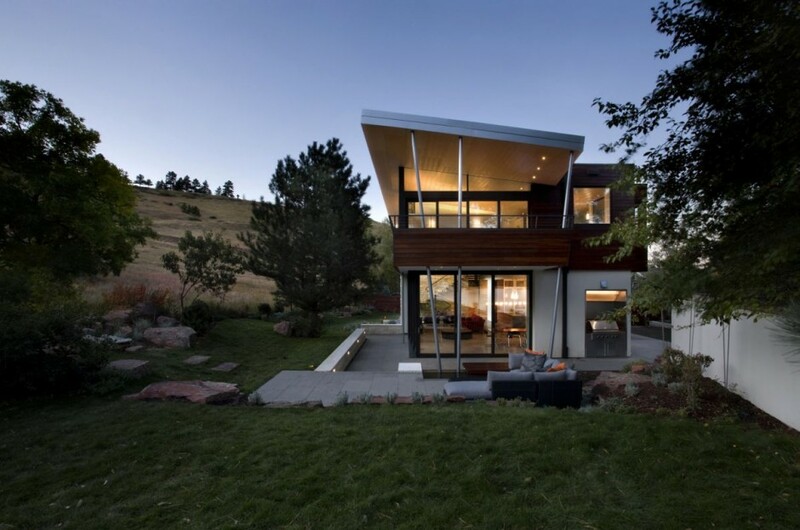 This house sits between the foothills of the Rocky Mountains and the Great Plains near Boulder, Colorado. The architectural firm behind this remarkable creation was Arch11. 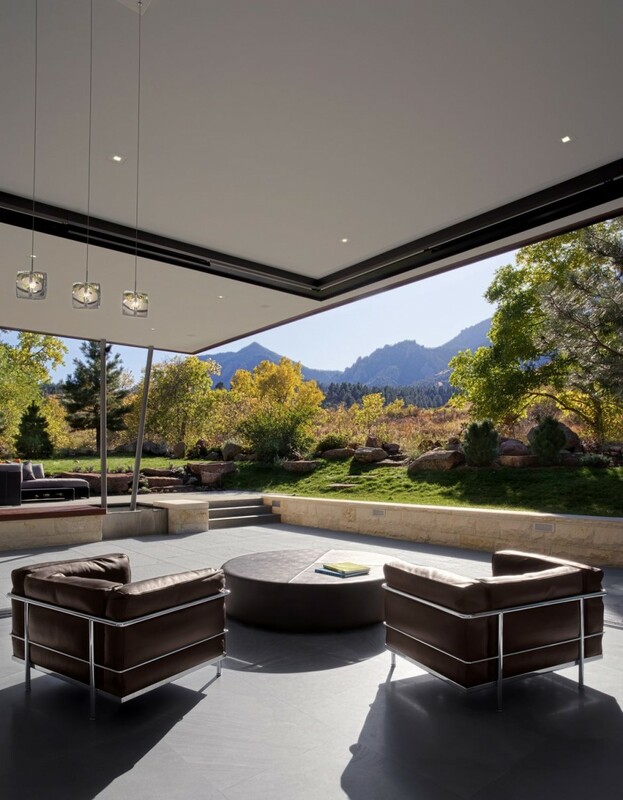 They designed the house with the surrounding landscape in mind to insure that planes of glass would allow for capturing ridgetop views while respecting the city’s height restrictions. The house is house is great all around. Although somewhat sterile for my liking, I really do appreciate the house’s location and based upon the photographs and the design of it. 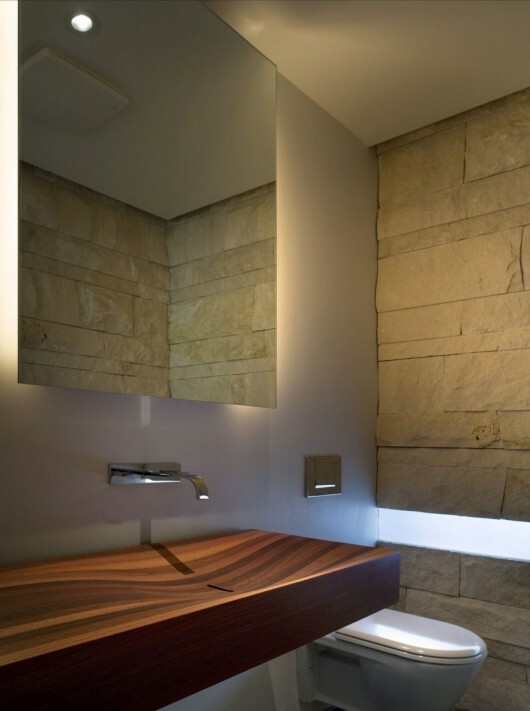 The way light is allowed to flow into areas such as the kitchen, is also warming. I could picture myself making a hearty breakfast as that beautiful morning light pours in. Wow, crazed house. The interior is so much bigger that it looks like from the outside. That is probably the coolest sink I’ve ever seen as well, definitely easy to clean! I have mixed feelings about this house. 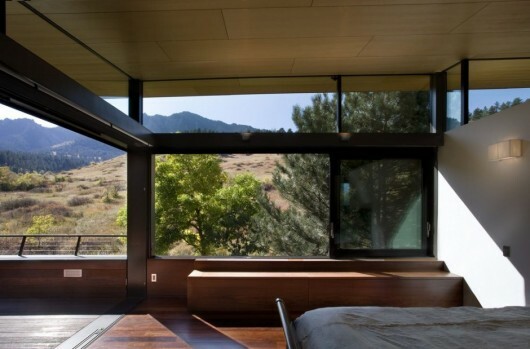 I like it for obvious reasons, the light, views, materials, and basic forms. However the whole house is disappointingly clunky for my taste. Despite the small clerestory,the lack steel ceiling structure I would expect to see exposed causes the ceiling plane to feel massively heavy. The panels applied to that surface don’t help. The boxed forms on every build out, the large hardware, the huge window structuring, all seem out of sync with the desire to let in light and views. 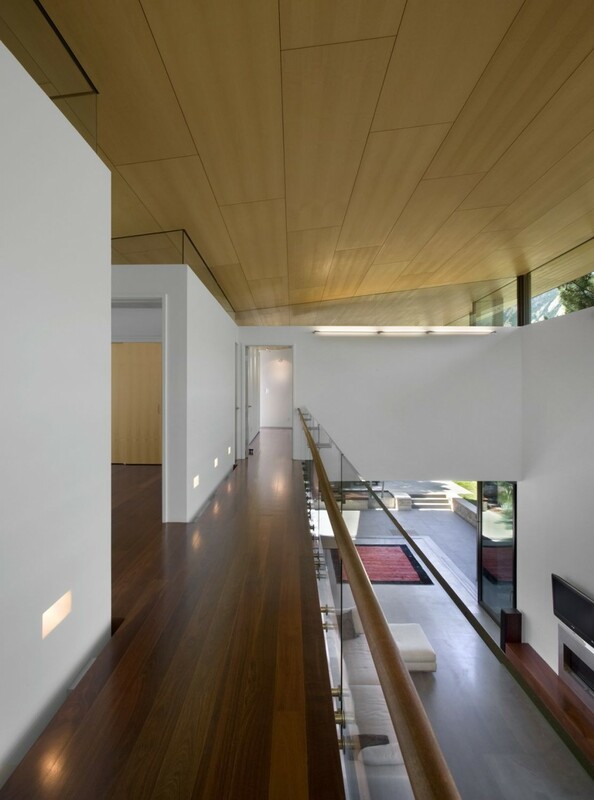 This house feels heavy and more commercial than residential. It would feel more like trying to relax in a public atrium than a living room. The lightweight steel chair to me feels awkward by comparison to everything else. All that said i like the side view very much. The three tall steel columns are at nice angles with the roof plane and stand out as the only exposed structure in the house that I see. 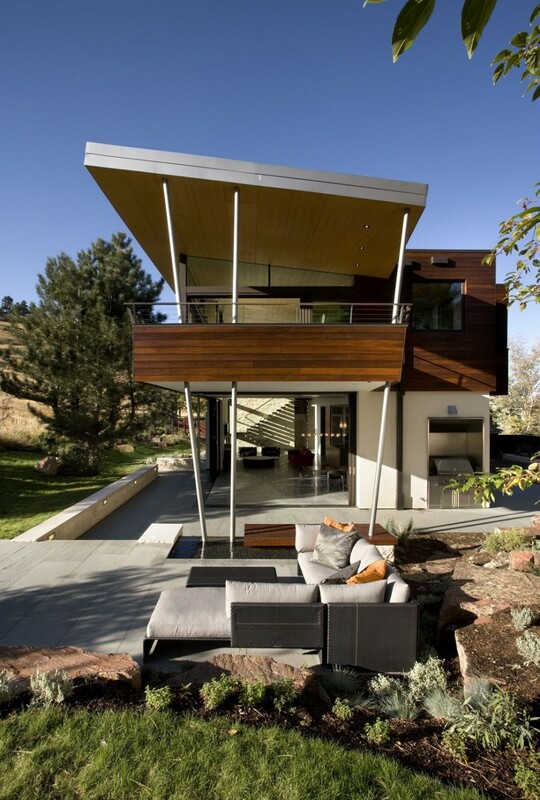 The cantilevered 2nd story creates interesting space below, but I would have tried to get the overhead roof plane to extend a bit further in that area however, perhaps even to the point of covering both the 2nd story deck and lower outdoor seating area. All that said maybe the Architect wanted a heavy feeling home, and having not been there that look and feel might be totally appropriate. Oh my god….that wooden sink!! 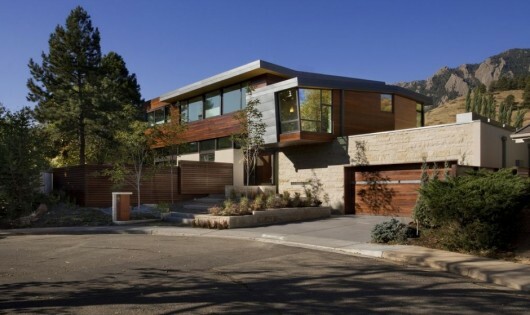 This is an AWESOME home!! Congratulations !!! You are very very good indeed. Your projects are a dream. Best Regards. Beautiful work, Bravo arch11 very thoughtful architecture. Boulder must be a good place to practice modernism. 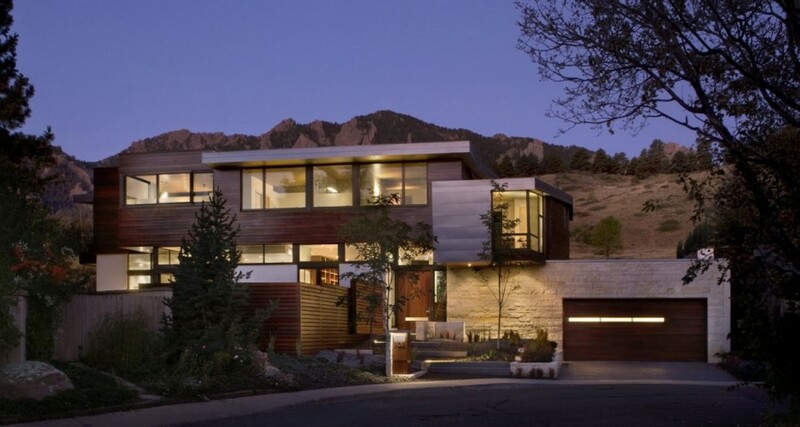 Great Modern design in Boulder Colorado. I’ve been following this firm’s work for several years. Arch11 seems to be pushing beyond the mere “driveby modern” of so many firms. Each of their projects is tailored to it’s site and the craft blows away much of what is being built. Great work folks. and get pleasant facts from here daily.